We are a family run business who have been established and trading for over 12 years. We are manufacturers and wholesalers of quality Oak, Pine and Painted furniture. We also now offer an extensive range of Cane Furniture, Rattan and Outdoor Furniture, Hand Carved Furniture, Mother of Pearl Chinese Furniture, Acacia, Sheesham and Mango Furniture, Divan beds, Metal Beds and Flat Pack ranges with additional accessories to compliment your furniture. We have Two Massive Two Story Showrooms where a vast selection of furniture is there for you to view in the flesh. Our goal is to provide customers with quality products at low prices along with personalised customer service. Connect with us here at Britannia Pine by visiting our Facebook page. 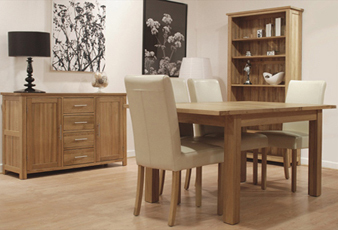 Our Online Store is Open Click Here To See Our Large Range Of Furniture! - We Supply Oak, Pine and much more! Quality Oak Furniture, Quality Pine Furniture, Oak and Pine dining sets, Quality Solid Oak and Pine bedroom sets, Painted Furniture, Bespoke Furniture, Oak and Pine cabinets, Solid Oak occasional. 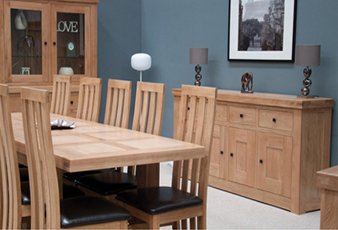 100% Quality before everything because that is simply what we do - Solid Oak Furniture, Solid Pine Furniture. Our Huge retail showrooms are devoted to the finest selection of Quality furniture that we can bring you. Real shops with real people - not just a page on the internet. We are waiting to welcome you to Britannia Pine (Cannock) Unit 9B, A5 Watling Street Business Park, Cannock, Staffordshire, WS11 9XG and our second showroom- Britannia Furniture 240 Walsall Road, Bridgetown, Cannock, Staffordshire, WS11 0JL.